Recommended Sample Types Monoclonal antibodies, proteins, peptides, nucleic acids, oligonucleotides, virus, and water-soluble polymers "Tough samples" such as hydrophobic proteins like insulin, membrane protein monoclonal antibodies derivatized with polymer branches, e.g. polypeptide, PEG. 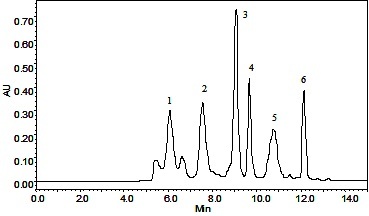 Separation of a protein mixture by Zenix-C SEC-300 column. 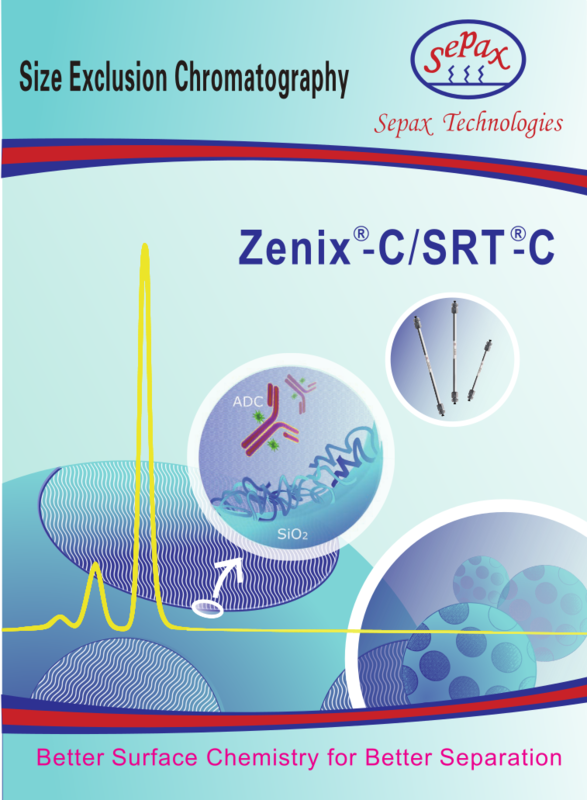 Separation of Biorad protein mixture by Zenix-C SEC 100, 150 and 300 columns. 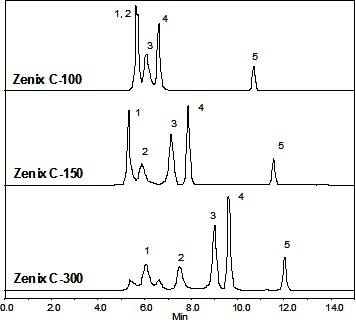 Separation of protein mixture A by Zenix-C SEC 100, 150 and 300 columns. 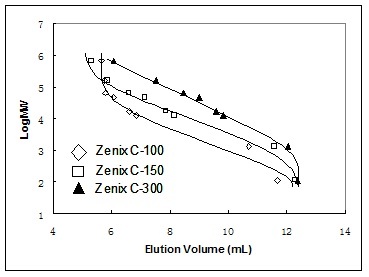 Protein molecular weight vs elution volume is plotted in below figure, indicating Zenix-C 100, 150 and 300 have large linear elution region. 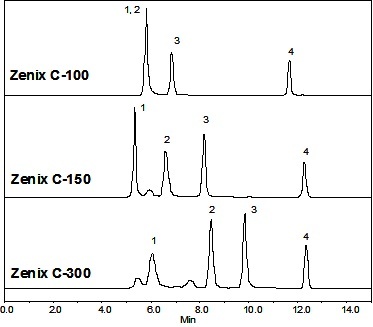 Protein MW calibration with elution volume for Zenix-C phases. Includes one ZenixTM 300 Å, and one ZenixTM-C 300 Å, columns (7.8 x 300mm). Includes one ZenixTM 300 Å, and one ZenixTM-C 300 Å, columns (4.6 x 300mm).